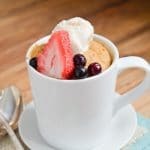 Home » Dessert » The BEST Paleo Mug Cake! 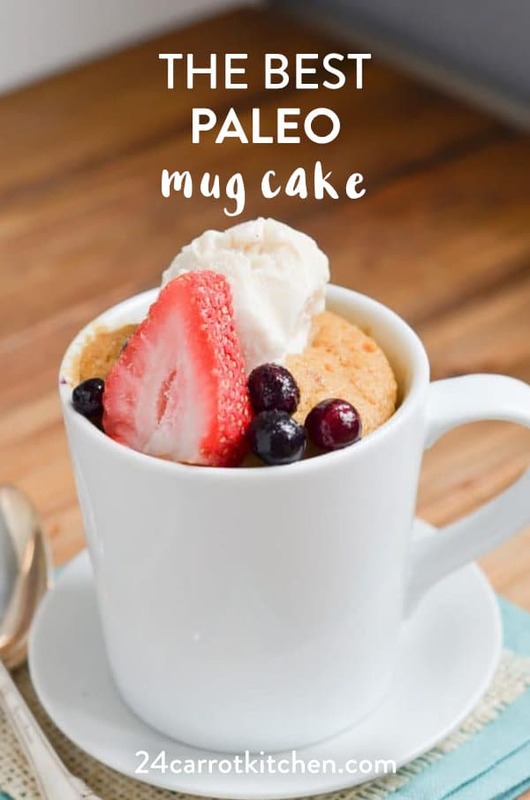 The search for an amazing Paleo mug cake is over! 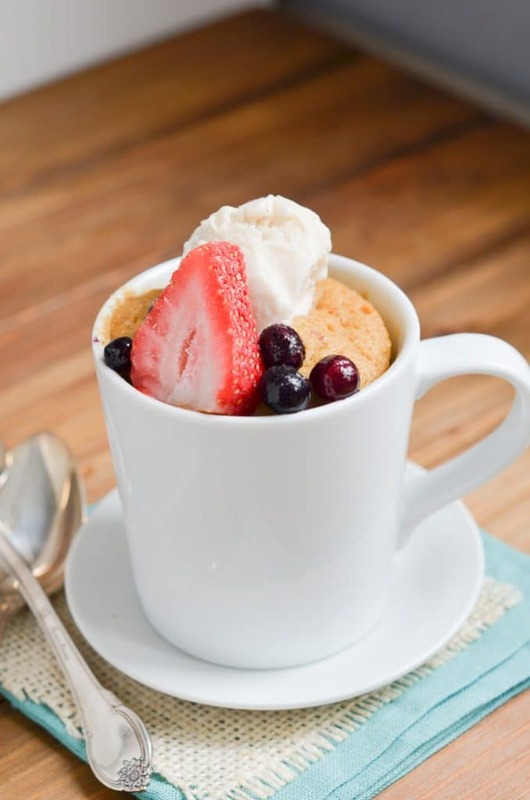 This easy, fluffy, delicious gluten-free mug cake is sure to become your favorite. And, it only takes a few minutes to make! 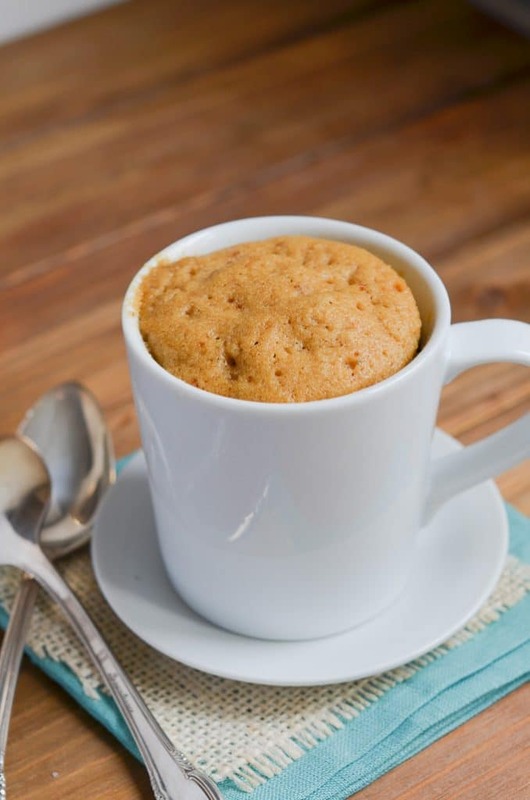 When the craving for cake strikes, you won’t have to make a whole cake; just this sweet little mug cake! 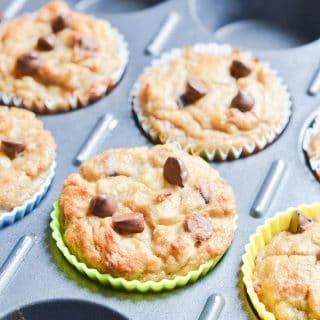 When a sweet craving strikes at 9:00 p.m., this is the recipe I go for. The perfect size for a quick and easy, yet totally decadent single size cake. I like to garnish my flourless mug cake with some dairy-free ice cream, or coconut whipped cream, berries, chocolate shavings. The ideas are endless. 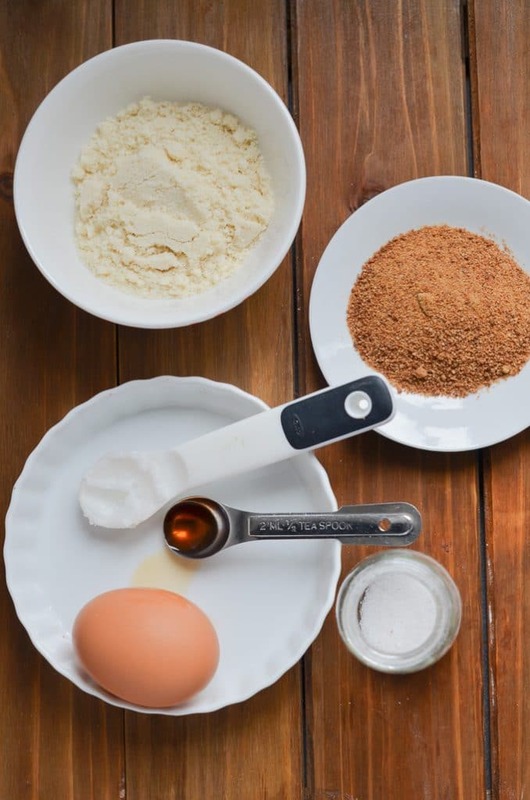 Step 1 – Gather and measure the ingredients. 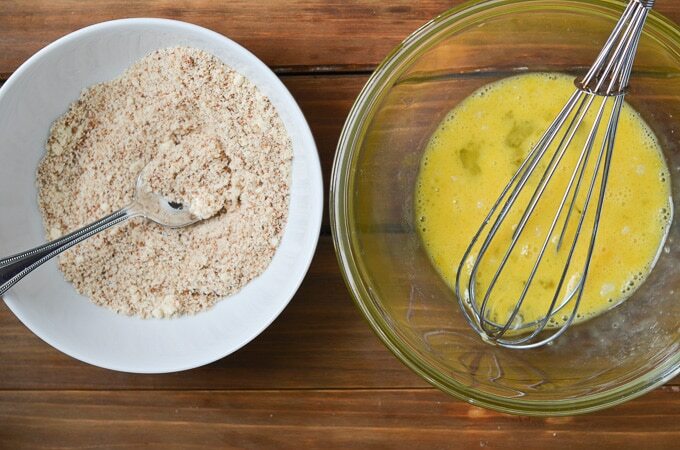 Step 2 – In a medium-sized mixing bowl, add the dry ingredients and whisk together. In another medium-sized mixing bowl, add the wet ingredients and whisk together. 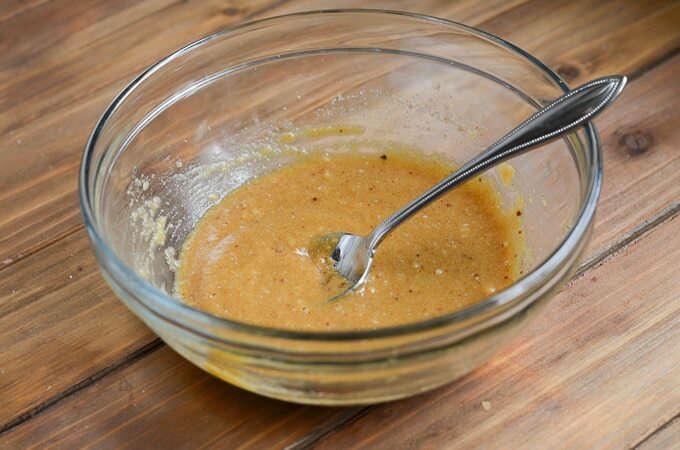 Step 3 – Pour the dry ingredients into the wet ingredients and stir to combine. 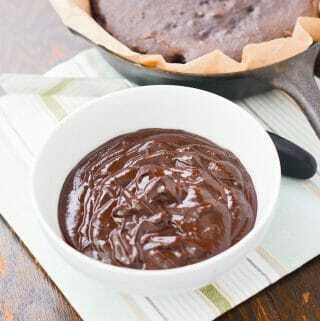 Step 4 – Pour the batter into a mug and microwave for about 60 seconds (time will vary depending on your microwave). The top of the cake should be firm and a toothpick should come out clean. 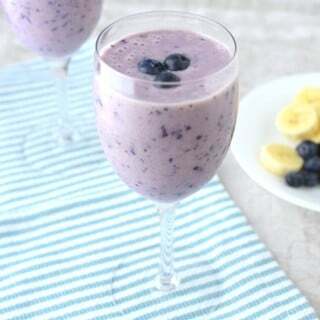 Step 5 – Add garnishes of your choice or eat just the way it is. You could probably substitute maple syrup for coconut sugar, but I have not done this. 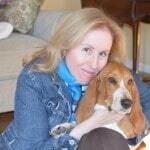 I have not tried this recipe without an egg. The egg helps the Paleo mug cake rise and get fluffy. 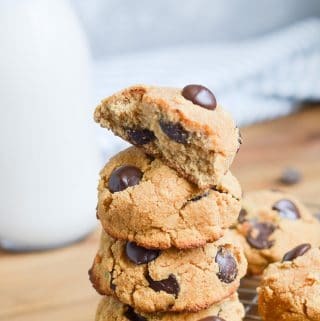 You might be able to substitute almond meal for almond flour, but I have not done this. 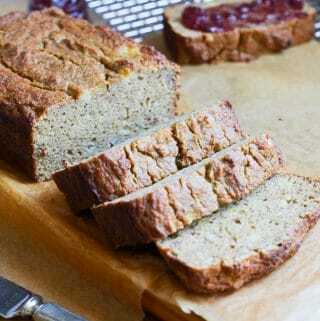 Coconut flour is not an acceptable substitute for blanched almond flour. This flourless mug cake can be baked in the oven in small ramekins – 350 degrees F. for about 10-15 minutes. 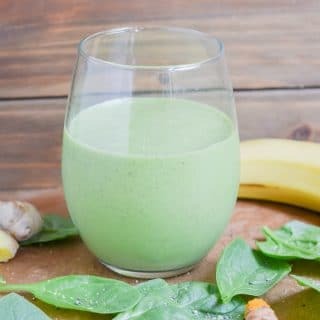 The BEST Paleo mug! This easy, fluffy, delicious gluten-free mug cake is sure to become your favorite. And, it only takes a few minutes to make! 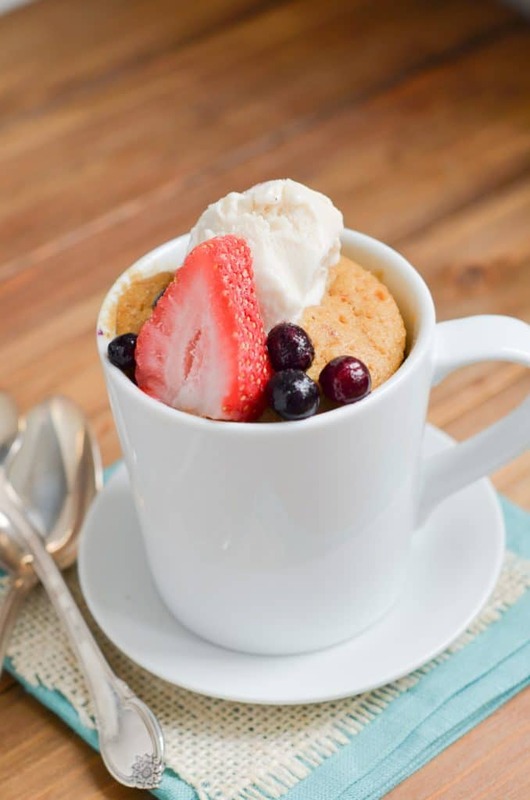 When the craving for cake strikes, you won't have to make a whole cake; just this sweet little mug cake! Add the wet ingredients to a small mixing bowl. Add the dry ingredients into a small mixing bowl and whisk to combine. Pour the dry ingredients into the bowl with the wet ingredients and stir to combine. 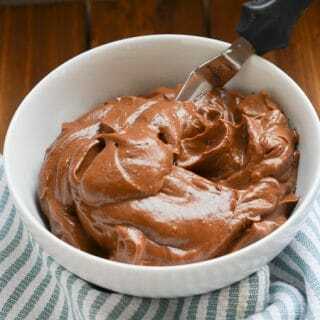 Pour the cake batter into a mug and place in the microwave oven for approximately 60 seconds. The time will vary depending on your microwave, but the cake should be firm and a toothpick will come out clean. As an Amazon associate, I earn from qualifying purchases. Thank you for your support. 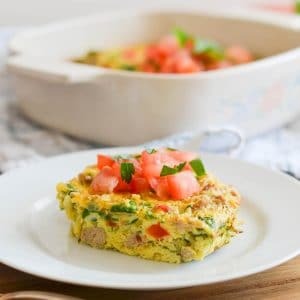 Previous Post: « 53 Whole30 Breakfasts You’ll Crave!